Liam Gallagher has blamed his brother Noel Gallagher’s wife for ending Oasis – branding her a ”dark” person. The 45-year-old singer has logged on to his Twitter account to tell his 2.85 million followers that his sister-in-law Sara MacDonald was responsible for his older sibling Noel, 50, quitting the ‘Supersonic’ band in 2009 and the rift between the brothers which continues to this day. Liam made his accusation in response to a post Sara is said to have made on an Instagram fan group after Liam joked in an interview that he ”didn’t care” if Sara, Noel or his brother’s ”f***ing” kid” – 18-year-old model Anais, whose mother is the guitarist’s ex-wife Meg Matthews – were harassed by social media trolls. 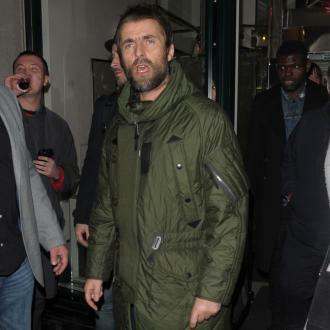 Liam has also alleged that Sara tried to sabotage an American tour by Oasis by hiding Noel’s passport so he wouldn’t be able to jet out to the US and perform his hits, resulting in him seeking solace at his younger brother’s home. Liam signed off his social media rant by comparing Noel and Sara to infamous British serial killer married couple Fred and Rosemary West – who were responsible for the torture and murder of at least nine young women between 1973 and 1987. After making his outrageous comment, some of his followers enquired as to whether the solo rock star had gone too far and had ”lost it” but the ‘Bold’ songwriter insisted it was just time for the ”truth”.